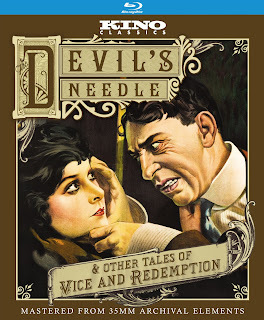 Blu-ray Review | "The Devil's Needle & Other Tales of Vice and Redemption"
The exploitation film is almost as old as cinema itself. As P.T. Barnum once said, "there's a sucker born every minute," and it wasn't long before cinematic hucksters found a way to exploit the new medium of film with the promise of salacious rewards. One of the fads of the early 1910s that lasted well into the sound era and the time of the Production Code was the social issue film, which played off societal fears under the guise of educating and shining a light on social ills, when their true goal was little more than getting bums on seats. Kino Lorber, under their Kino Classics label, has released an excellent blu-ray set of three such early exploitation films which, while not necessarily the kind of thing that will be widely popular with casual movie goers, is certainly something to celebrate amongst cinephiles and silent film aficionados. 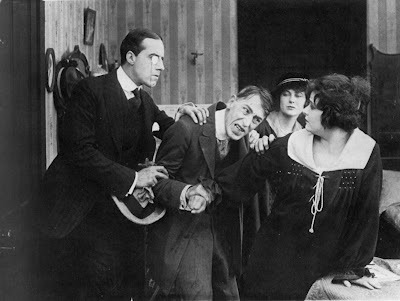 L-R: Howard Gaye, Tully Marshall, Marguerite Marsh and Norma Talmadge in THE DEVIL'S NEEDLE. While not exactly what you could call "good" films, these three silent pictures are nonetheless fascinating from a historical perspective. 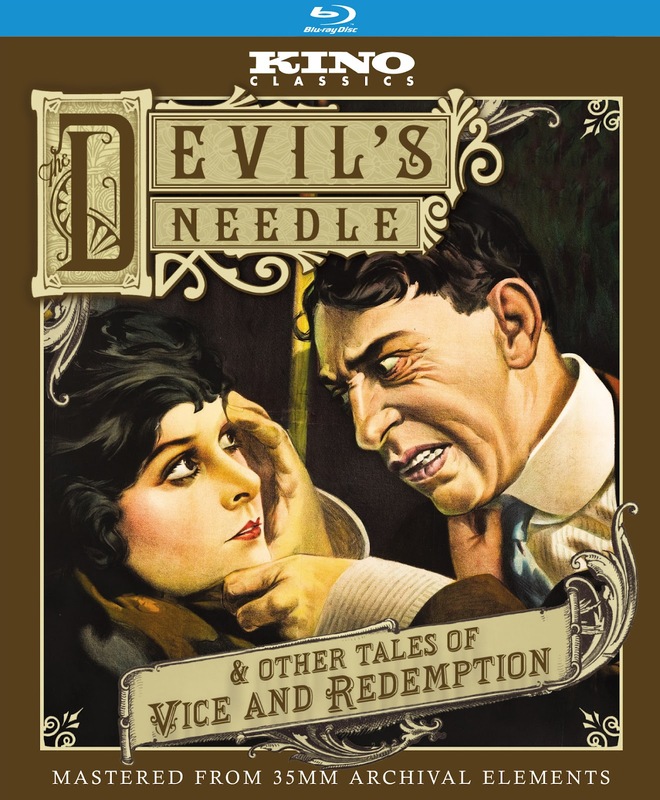 The headliner, The Devil's Needle (1916) tells the story of a young, morphine addicted model (played by the legendary Norma Talmadge), who insists to the struggling artist who is painting her (Tully Marshall) that morphine is "ready made inspiration." The artist, of course, becomes addicted to the drug, and descends into madness, with predictable results. The film was recut and rereleased in 1923 (and is the version presented on this disc), most likely to capitalize on the death of actor Wallace Reid from morphine addiction in true exploitation fashion. It's easily the best of the three films, as its production was overseen by none other than D.W. Griffith and directed by one of his proteges, Chet Withey. It's also very naive and a bit rambling, as was a hallmark of these early grindhouse films, which rarely delivered on their own scintillating promise. One of the most popular topics for exploitation films in the 1910s was white slave trafficking, and while it was never really a big problem, if it existed much at all, it certainly caused a big scare that movie producers were only too happy to jump on. 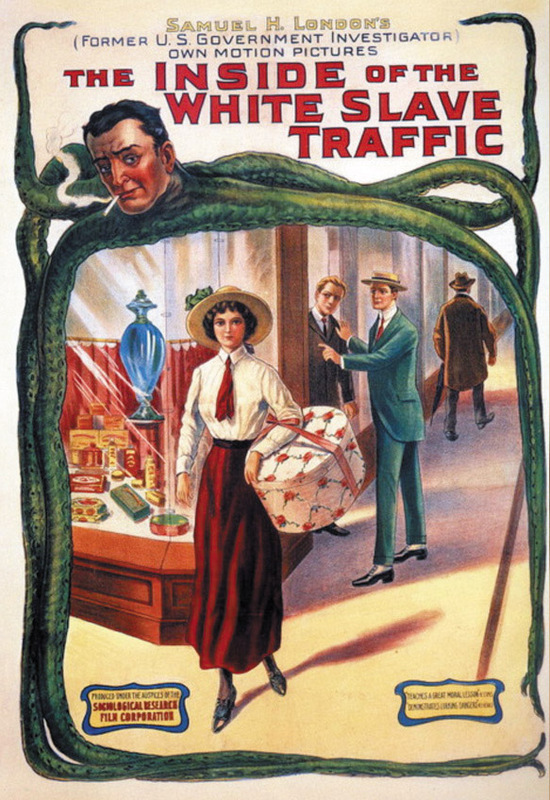 While the most notorious of these films was perhaps Universal's Traffic in Souls, Frank Beal's The Inside of the White Slave Traffic (1913) was released the same year and caused quite a stir on its own. 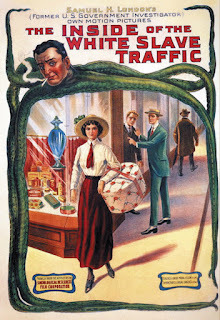 Purported to be completely factual (with the endorsement of several prominent government figures), the film explored the issue of prostitution with an almost goofy self-seriousness. What's so interesting is that it ultimately amounts to so little. While exploitation films advertised themselves with the most salacious and titillating sounding hyperbole, the films themselves were often dour, aimless affairs, and The Inside of the White Slave Traffic is no different. The Edison Company production, Children of Eve (1915) is a strange mixture of melodrama and exploitation, drawing on the most outrageous conventions of Victorian theatre and early silent pantomime, Children of Eve tackled the horrendous child labor conditions of the time through a mostly ridiculous family drama. Of all the films featured here, this one is the most steeped in the manipulative naivete of the era, featuring evil capitalists sitting around a table trying to decide how best to murder their child workers. Edison was never known as an artist, and it is clear why here (although the film was directed by one of his employees, John H. Collins). The climactic factory burning sequence, however, is surprisingly harrowing, and was inspired by the tragic destruction of the Triangle Shirtwaist Factory four years prior. Ham fisted and preachy, these early issue driven films are more interesting as a window into another era than anything else. But Kino has treated them with great respect with this blu-ray release, which features raw footage and outtakes from Children of Eve and Inside the White Slave Traffic, as well as terrific liner notes by film historian Richard Koszarski. While time hasn't exactly been kind to these films (the last reel of The Devil's Needle is in especially bad shape), the Library of Congress has preserved these films as a somewhat quaint reminder of not only how far cinema has come, but how exploitation cinema was born, and anyone with a love of film history would do well to seek them out.